A new episode of Patriot Act airs every Sunday on Netflix. Over a month ago, Netflix released a new show called Patriot Act, a weekly political comedy led by Hasan Minhaj. The stand-up comedian rose to fame last year with his special, Homecoming King, which also won him a Peabody Award. However, Patriot Act is not your typical American late night talk show. There is no desk, no in-house band, no comfy sofas, no suits, and most importantly, no guests! What is perhaps similar about this weekly format is Minhaj concentrating mainly on a single subject each episode, but doing so while walking freely in casual attire on a diamond shaped stage with massive LED screens behind him. In his own words – and the best way to describe this format – it is like attending a “woke TED talk”. Thus far in Patriot Act, Minhaj has tackled a variety of important subjects in great depth, providing the audience in front of him and at home with facts and data before trickling in his own personal views, alongside comedic bits, of course. He sums each episode up with a dynamic conclusion sure to pull the audience back in the next week. There is no doubt Minhaj is a charismatic and highly gifted comedian who speaks from the heart, and is not afraid to use his cultural background and his personal experiences to get his voice heard. As he bounces all over the stage and sprinkles jokes in between serious facts, he manages to be impactful without losing the flavour or the intensity of the topic. The best part about his show is that while the topics are timely, they don’t seem to revolve around Donald Trump and the White House, giving Minhaj an advantage as Netflix viewership is not time bound. That being said, we do see current events mentioned in small titbits here and there as add-ons to the larger issue being discussed. From talking about Asian-Americans battling affirmative action to discussing America’s ‘marriage of convenience’ with Saudi Arabia, Minhaj proves no topic is off limits and there’s no issue he cannot make the audience connect with. With his charming personality, clever punchlines, cultural metaphors and well-researched data, he succeeds in delivering a powerful message in a light and fun manner. When talking about Saudi Arabia, Minhaj does so through the lens of a Muslim in today’s America, emphasising what the holy cities in Saudi Arabia mean to him due to his faith and then critiquing the Crown Prince in a way only he among his fellow hosts is in a position to discuss. Despite being an American Muslim myself, I was amazed at the amount of information I was unaware of when it came to America’s dealing with the Saudis and the Yemen War. As a bonus, Minhaj highlighted the offensive language currently existing in the online welcome booklet for troops being deployed to Saudi Arabia. Thanks to a brown Muslim’s effort, the US Department of Defence made a public apology for the language used. Can you imagine this happening in Trump’s America? The most interesting episode thus far, however, has been the one on immigration. As a son of immigrants, Minhaj adds a personal dynamic to this increasingly relevant conversation in America, as he has seen the sacrifices his parents had to make and how immigration affects families. I also loved how, in a typical example of his humour, Minhaj revealed that a humble vegetable (spoiled cucumber) and selfies have caused more deaths than refugee terrorists over the past 40 years, proving that immigration does not cause an increase in violent crimes, and neither is it the top cause of crime or death in America. Unlike a lot of other political talk shows, I was able to understand immigration better through this episode, perhaps because it came from someone with first-hand knowledge on the subject. Being an immigrant myself, this episode made me feel emotional and connected, especially after seeing Minhaj’s appeal for new immigrants to be given a chance like the one we were given. In a niche that has primarily been dominated by white people, such as Jon Stewart, Stephen Colbert, John Oliver, Chelsea Handler, Samantha Bee and Bill Maher, Minhaj’s introduction and success promises a South Asian arrival to this genre. It’s like brown voices are finally being heard. Call me biased but as a brown Muslim, I find Patriot Act to be the most relatable talk show being aired at the moment. 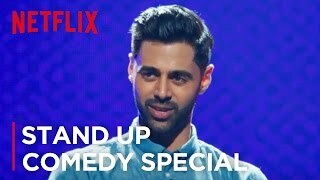 With the show progressing in all its glory, we hope Netflix gives Minhaj more screen time to discuss his views in a more relaxed manner, because now that brown people get to share subtle inside references like “halal hand” and “lota” with the rest of the world, we would not want to give this up anytime soon.